The Old West town of Lily, Arizona, is home to the Gilded Lily, a former theater…and bawdy house. These days, it offers theatrical productions geared to tourists, but the recent discovery of a skull, a real skull, among the props and costumes shakes everyone up. So, who do you call? The Krewe of Hunters, a special FBI unit of paranormal investigators. In this case, it’s agent Jane Everett. Jane’s also a talented artist who creates images of the dead as they once were. But the Krewe always works with local law enforcement, and here that means Sloan Trent, former Houston cop and now sheriff. His great-great-grandmother was an actress at the Gilded Lily…and she’s not resting in peace. Then more remains appear in the nearby desert. As they search for answers, using all the skills at their disposal, Jane and Sloan find themselves falling into danger — and into love. A Ghost Rider in the Sky? What happened here, on a historic ranch outside Nashville, during the Civil War? And what's happening now? Olivia Gordon works at the Horse Farm, a facility that assists patients with mental and physical recovery; her specialty is animal therapy. She's always loved her job, always felt safe…until now. People are dying, starting with the facility's founder, whose body is discovered in a ravine on the property - site of a massacre in 1862. And before every death, Liv sees a horse and rider, wearing a soldier's garb, in the night sky…Warning? Omen? Or clue? Hannah O'Brien, who grew up in the house and now runs it as a B and B, has always had a special ability to see a pair of resident ghosts. But when a man is murdered in the alley behind her place, she's dismayed when his spirit appears, too, asking for help. 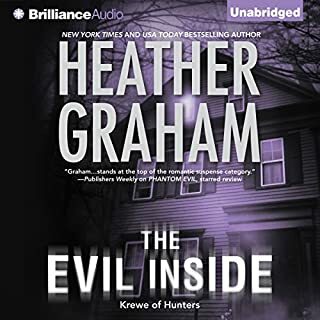 FBI agent Dallas Samson has a passionate interest in the murder, since the victim's a colleague whose death is connected to the smuggling ring known as Los Lobos - the wolves. The 1940s: hard-boiled detectives and femmes fatale are box-office gold. In one iconic scene, set in a deserted museum, the private eye arrives too late, and the buxom beauty is throttled by an ominous Egyptian priest. Now: the Black Box Cinema immortalizes Hollywood’s Golden Age in its gallery of film noir tributes. But the mannequin of that Egyptian priest is hardly lifeless. He walks - and a young starlet dies a terrifying death. Movie mogul Eddie Archer’s son is charged with the grisly murder. Devin Lyle has recently returned to the Salem area, but her timing couldn't be worse. Soon after she moved into the eighteenth-century cabin she inherited from her great-aunt Mina - her "crazy" great-aunt, who spoke to the dead - a woman was murdered nearby. Craig Rockwell - known as Rocky - is a new member of the Krewe of Hunters, the FBI's team of paranormal investigators. He never got over finding a friend dead in the woods. Now another body's been found in those same woods, not far from the home of a woman named Devin Lyle. Salem was a place near and dear to Jenna Duffy and Samuel Hall - it was where they'd met on a strange and sinister case. They never dreamed that they'd be called back. That history could repeat itself in a most macabre and terrifying fashion. But, then again, it was Salem at Halloween. Seasoned Krewe members, they still find themselves facing the unspeakable horrors in a desperate race to save each other - and perhaps even their very souls. Vickie Preston and Special Agent Griffin Pryce take a detour en route to their new home in Virginia and stop for a visit in Baltimore. But their romantic weekend is interrupted when a popular author is found dead in the basement of an Edgar Allan Poe-themed restaurant. Because of the mysterious circumstances surrounding the corpse, the FBI's Krewe of Hunters paranormal team is invited to investigate. 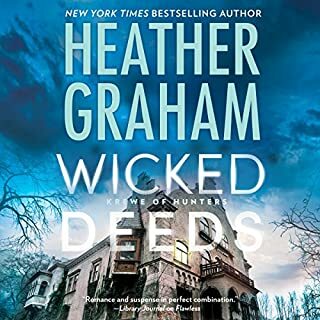 As more bizarre deaths occur, Vickie and Griffin are drawn into a case that has disturbing echoes of Poe's great works, bringing the horrors of his fiction to life. Emerging from the bayou like an apparition, Donegal Plantation is known for its unsurpassed dining, captivating atmosphere, haunting legends... and now a corpse swinging from the marble angel that marks its cemetery’s most majestic vault. A corpse discovered in nearly the same situation as that of Marshall Donegal, the patriarch killed in a skirmish just before the Civil War. 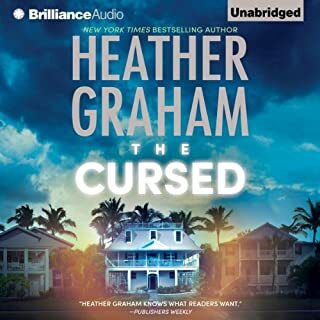 Desperate for help traditional criminologists could never provide, plantation heiress Ashley Donegal turns to an elite team of paranormal investigators who blend hard forensics with rare intuition. Now, almost 200 years later, the painting appears in New Orleans. Wherever it goes, death seems to follow. Danielle Cafferty and Michael Quinn, occasional partners in solving crime, are quickly drawn into the case. They begin to make connections between that summer in Switzerland and this spring in Louisiana. 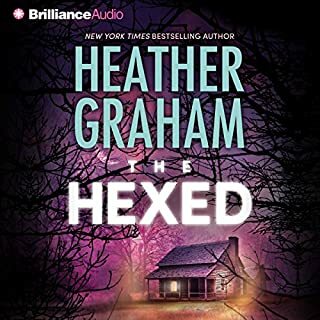 Danni, the owner of an eccentric antiques shop, and Quinn, a private detective, have discovered that they have separate but complementary talents when it comes to investigating unusual situations. Trying to blend their personal relationship with the professional lives they’ve stumbled into, they learn how much they need each other. Especially as they confront this work of art - and evil. The people in the portrait might be dead, but something seems to wake them and free them to commit bloody crimes. Cafferty and Quinn must discover what that is. And they have to destroy it - before it destroys them. 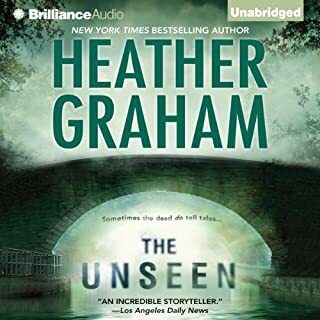 ©2014 Heather Graham Pozzessere (P)2014 Brilliance Audio, all rights reserved. 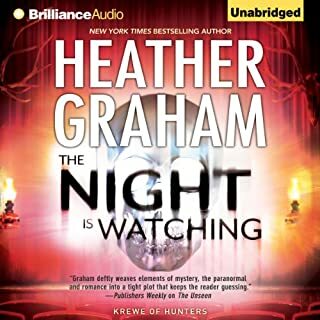 Where does Waking the Dead rank among all the audiobooks you’ve listened to so far? It is definitely one of my favorites in this genre. I'm from New Orleans so I appreciate the setting. I recognize where they are. The only thing she really gets wrong is the bit about sweet tea. I lived in New Orleans my whole life and no body asked me for sweet tea. It is not a THING in NOLA. When you get to GA, SC, NC then you start hearing about sweet tea. People in NOLA drink strong coffee and lots of liquor. The characters in this book are so likeable, believable and smart. What was one of the most memorable moments of Waking the Dead? When Danni starts sleep walking and walks down the staircase to start painting while she is asleep. 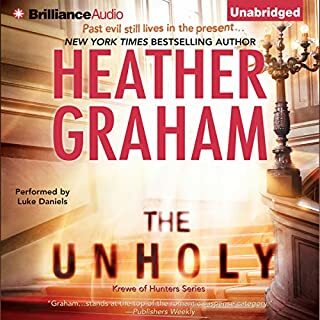 I listened to the other Heather Graham books. I really like Natalie Ross's performance. She gets the different voices perfectly. no, I don't do that. I listen in my car and sometimes at night lying in bed. I hope there will be a lot more Cafferty and Quinn books. I like them a lot better than the Krewe of Hunters. even though I was irritated by the way an obvious clue was dropped them it took the main characters 3 or 5 chapters to figure it out the rest of the story was well written and interesting so I bought the second in the series and this time it changed from minor irritation to a greater one I will not be buying the third. For an ADD person I had to finish it. A first for me. A little macabre with a historic twist. Hold the listeners attention with all the characters voices. 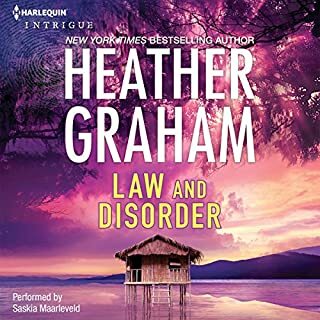 This has to be one of Heather Graham's most imaginative stories. I loved the look into each of the characters backgrounds. The historic shout outs to the great artists of a bygone era. A captivating look into artistry, no matter how horrific! I'm not sure what accent the person reading is attempting for Billy, it's indescribable and definitely NOT Scottish. It really takes away from the reading. If the same person reads the next book, I'll be taking a pass. Love the storyline. 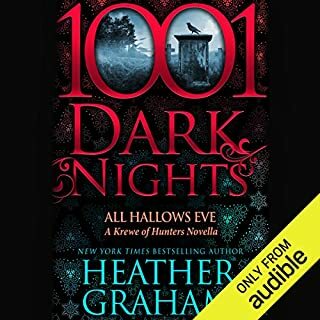 Will listen to book one to see if I can figure out Danni's gift. This book keeps you hanging on that point. Reader could've done much better in the voices but still kept me listening. Would you listen to Waking the Dead again? Why? Quinn and Cafferty of course! She did well with the story line. It was an enjoyable book and am looking forward to book 3. Even better than Let the Dead Sleep! 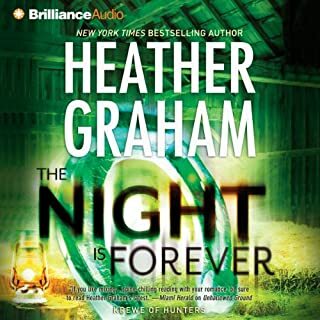 I would listen to both the stories in the Cafferty and Quinn series again, particularly if Ms. Graham is going to continue the series. There was enough going on in each story that a re-listen would help. Although I did guess the villain and the clue about the real painting, there were enough red herrings that I still had questions about several of the characters until close to the end. I love Natalie Ross's narration in all her performances. Her female and male characters are seamless and don't distract from the story at all. She does a great Creole accent as well. Watch out for the fog, they strike when you can't see. 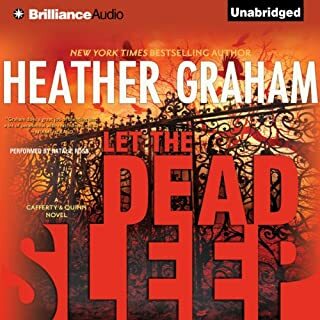 I had been feeling unresolved about the ending of Let the Dead Sleep and was quite happy that the story line took up very soon after the previous one. Both hero and heroine seemed to make much more mature decisions in this book. What made the experience of listening to Waking the Dead the most enjoyable? The story is superb and I like the addition of the new characters from book one. 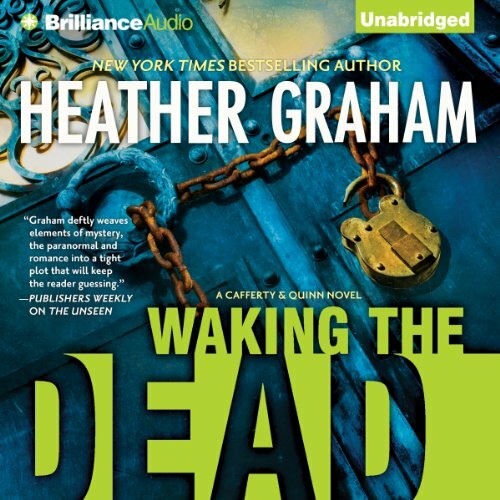 What other book might you compare Waking the Dead to and why? Blood Trade by Faith Hunter or Mark of the Demon by Diana Rowland--same type genre! 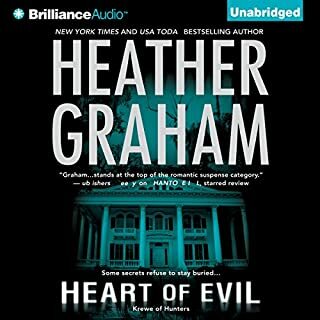 She is good at the New Orleans accents which takes me deeper into the story. When Danni was in a perilous situation, she thought about her real love for Quinn and the thought of dying and having not told him. Fantastic series---I can hardly wait for the next book. In the meantime, I have started another of her series---Phantom Evil.